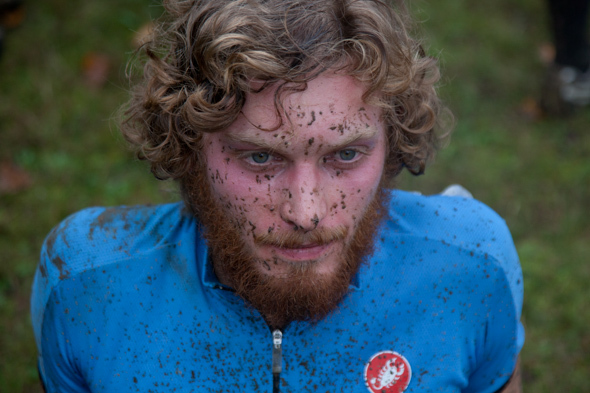 I usually photograph many cyclocross races throughout the fall and early winter. This year, however, I only went to two in search of images. The good people at 1859 Magazine asked me to wander the course in search of racers and fans for a spread in the January/February issue. I couldn’t resist going to Bend for the annual Halloween party. 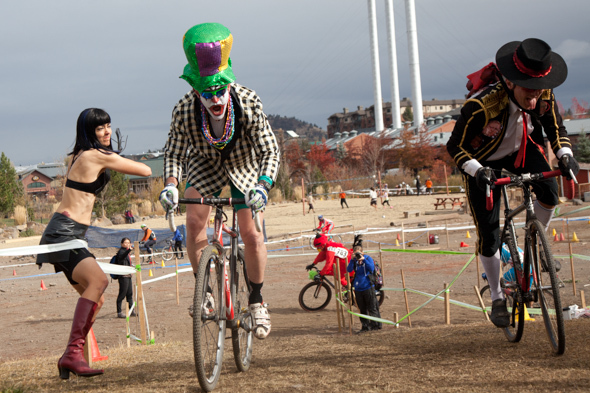 Wackiness and good racing. 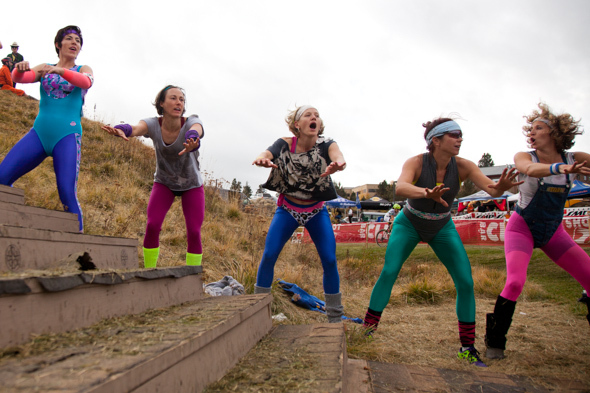 The next weekend at Barlow provided a more classic scene on a course known for its tricky downhill plunge and grueling hill climb. This entry was posted on Monday, January 14th, 2013 at 8:46 pm. 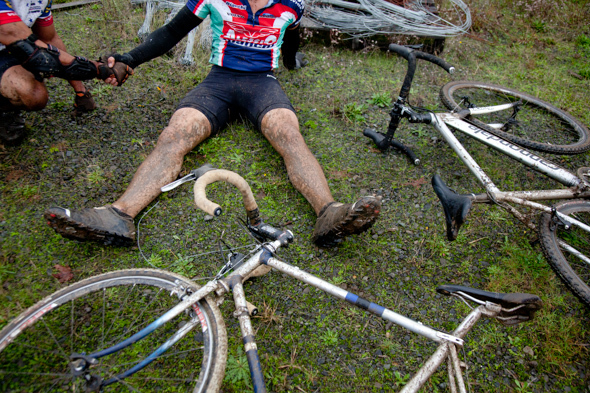 It is filed under assignments, cyclocross and tagged with bend, cross crusade, cyclocross, oregon, photography, portland. You can follow any responses to this entry through the RSS 2.0 feed.